Kubrat Pulev kept his unbeaten record intact tonight and gained a whole lot of credit for himself as he dispatched Alexander Dimitrenko, a European champion who went into this fight with just one loss. Despite his perfect record, Pulev wasn't fancied by some fans before tonight, and many believed Dimitrenko would keep his EBU belt and pick up the IBF-international to boot. Pulev now holds both of those titles, and he finds himself slap bang in the heavyweight world rankings. He had already broken most sanctioning bodies top 15 before tonight, but now he must be considered a top ten heavyweight fighter. Dimitrenko won the first two rounds by outboxing Pulev and employing an effective jab, but Kubrat was able to get himself back into the fight. 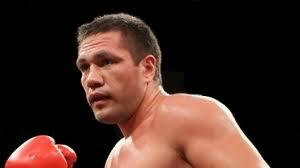 For the rest of the match Pulev increased his punch output and he was able to outwork a tiring Dimitrenko. By the time he landed his punch in the eleventh that sunk Dimitrenko to the floor, Alexander just didn't have the energy to get back up. Pulev is going to want to capitalise on his win by taking on another top-tier heavyweight. A good fight for him to make at this point would be with British prospect Tyson Fury, a fellow-unbeaten fighter who has the same desire to prove himself on the main stage. Kubrat Pulev beats Alexander Dimitrenko by 11th round knockout.